If we really are upset with Trump and don’t want a country of Trump ethics and behaviors and ideas and dialogue, then perhaps it’s time to look prayerfully at how we ourselves act in this era of Facebook and Social Media. This article made me examine my own conscience. Am I civil and courteous to those with whom I disagree. A role model for all of us is G.K. Chesterton who could absolutely pillory the opinions of people like George Bernard Shaw and H.G. Wells and still remain their friends. I think it was Wells who said that if he made it to heaven it would be because of his friend Chesterton praying for him. 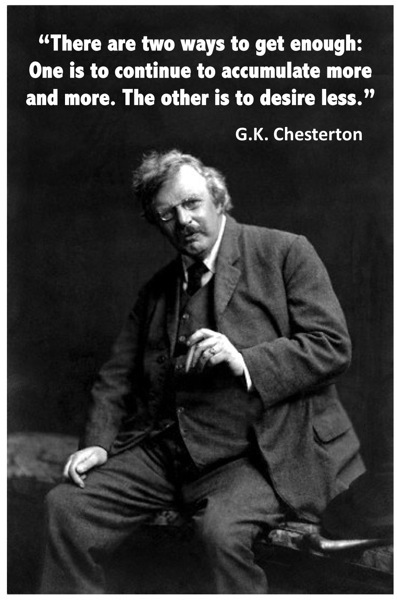 I don't think Chesterton ever made an enemy. G.K., please pray for me. I ask you to intercede for me that I might always disagree in an agreeable way. With all due respect, Trump isn't anywhere near Mark Shea. While Trump is somewhat boisterous, he is quite capable of making logical statements. Shea however, is getting more hairbrained and illogical with each passing day. If he doesn't come to his senses soon, he will fade to irrelevance, and never be heard from again, except for his obituary. Sounds like a tombstone quote. Thanks for the laugh. I thank you and Susan for a fine blog. I check it at least once a day and read most posts. However, I am sad to see Trump being denigrated by compared to Mark Shea. Unfortunately, it is this kind of piece that feeds the negative stereotypes about Trump that will help uniformed voters support Hillary in lieu of Trump (especially being compared to Mark Shea). Re Mark Shea: I no longer read most RC mainstream "bloggers" and/or columnists bc there is so much sniping going on. I blame Pope Francis for creating so much spiritual anarchy and Catholic chaos. This division is very offputting unless the objective is to steer people away from Catholicism and/or Christianity. It would please me very much if the post comparing Mark Shea to Trump were deleted.